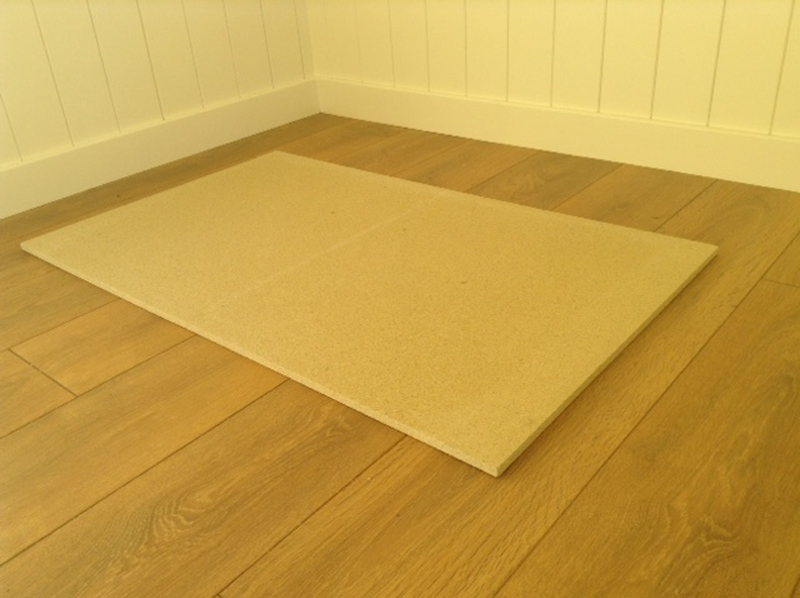 A 12mm thick, non-combustible, fire resistant vermiculite board. 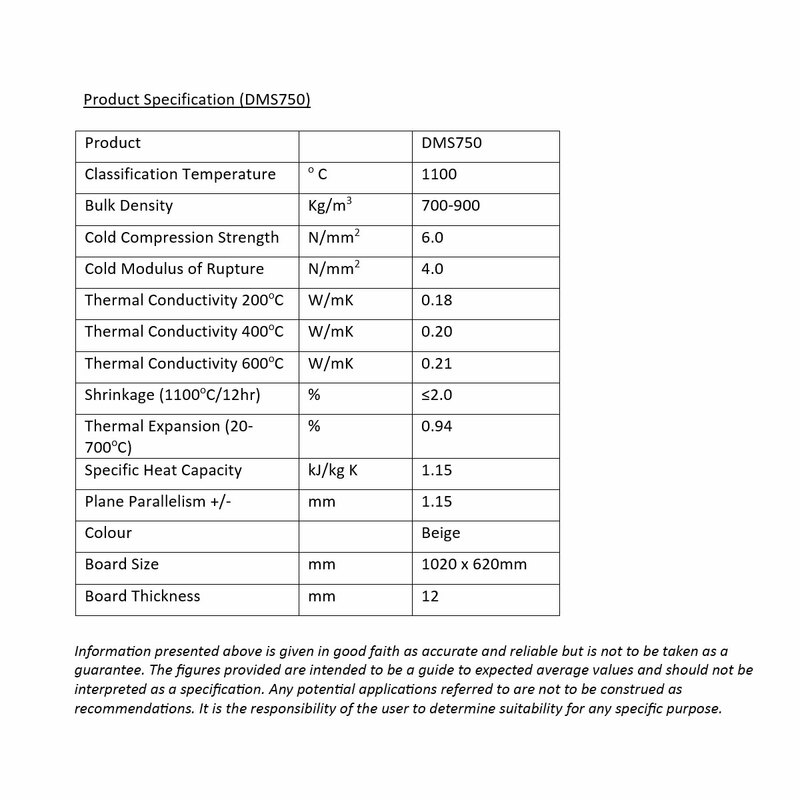 Easily cut, it has excellent thermal insulation properties and minimal shrinkage at high temperatures. An ideal product to use when installing a ‘Hobbit’ wood burning stove and stand, on top of a metal hearth. It has been our practice over several years to use 12mm vermiculite boards beneath our metal hearths, when installing ‘Hobbit’ stoves with stands. Although probably not entirely necessary, we have always taken the view that the additional “peace of mind” is worth the cost! Please note that these boards are more than twice the size of many on the market. Place the 12mm board flat on the floor. Position the hearth over the top of the board and mark out the perimeter of the hearth. You will note that the hearth is wider than the board and you will need to use the excess waste to “fill in” the void. Before trimming the board with a saw, don’t forget to adjust your plan to allow for the wall thickness of the hearth! After the board is trimmed, mark out any fixing holes and drill out to prevent obstruction by bolt heads, when the stove stand is fitted. 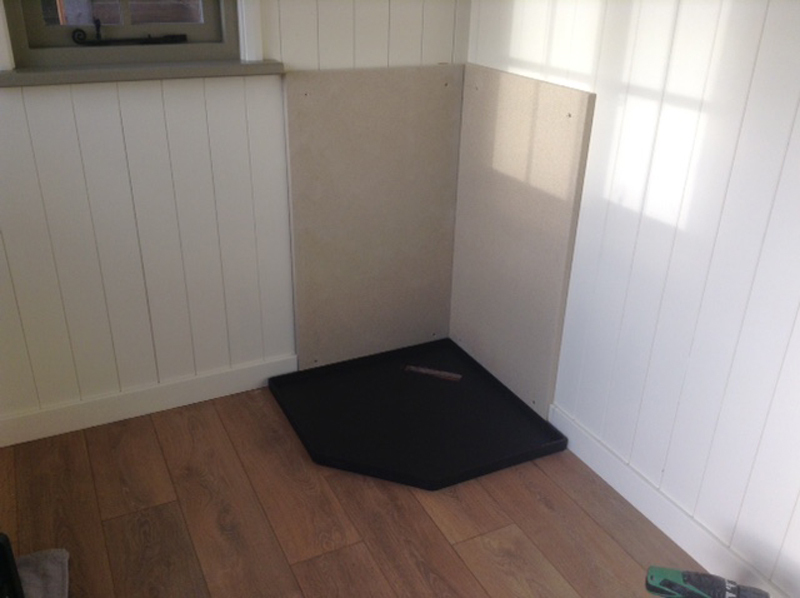 Fit the hearth to the stove stand and place over the 12mm vermiculite board. Slide into final position, drill and fix down the hearth (with the board beneath) to your hut floor. Proceed with the installation of the stove, flue etc.